MAN HITS VALET DRIVER AFTER 'LADY REFUSE TO GO HOTEL 81 WITH HIM"
Just because your lady passengers refused to check into a hotel with you, YOU HIT the driver that was hired to help you get home safely??!!! 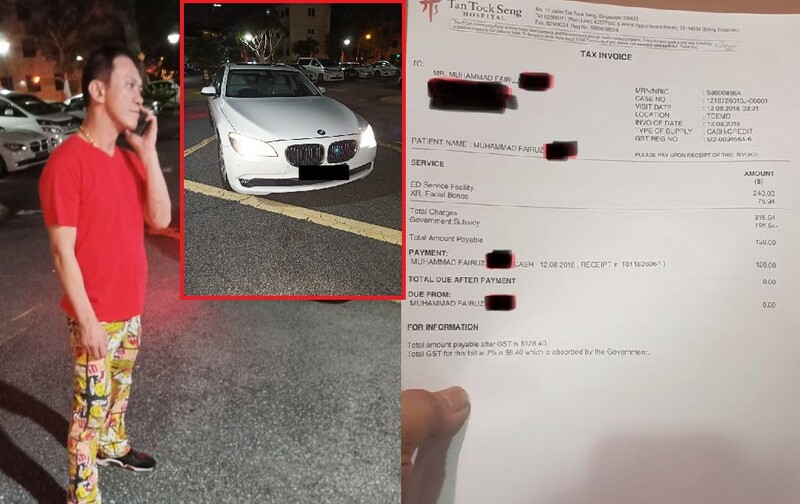 “I met them at the agreed pick-up point (Q Pub in sembawang) and took over his car. Along the way they (he, his friend and two foreign nationality ladies) were discussing where to go next. Was instructed to drive them to 23 Oxley Road where his friend lived. Upon reaching, I overheard the ladies rejecting his suggestion of going to Hotel 81 Lavender Street. When we arrived at Oxley, I waited while they were still negotiating with the ladies. After being rejected, the conversation stopped. So I turn to him to ask, “sorry sir, where to next”. Immediately he swung his left fist directly into my face. The force was so hard till the back of my head banged against the car door window. The friend quickly went home, the ladies too left when blood started bleeding from my lips.” Fairuz. We received a call from Fairuz and was notified. The police and ambulance was called immediately, reminded him to walk away from the assailant and wait for help and us to arrive. The incident just happened few hours ago @about 2:45am 12/8/18. Fairuz is still in TTSH now getting an X-Ray done for his injured neck, head and jaw examined. We are still waiting for doctor’s advise if he needs to be warded for observation. To YOU!! You needed a driver to help you drive. We assigned one of our most experienced driver Fairuz to help only for a small fee of $38.00. He or any of us valet drivers don’t owe it to you when your lady friends rejects your advances or when you’re in a bad mood!! Valet drivers are here to help ensure customers’ safe return home. We are NOT your punching bag!! So Please HAVE A LITTLE RESPECT if not any appreciation. *a police report have been file for assault. Previous ArticleWATER BILL $356.50 YET NO ONE IS STAYING IN THE HOUSE!